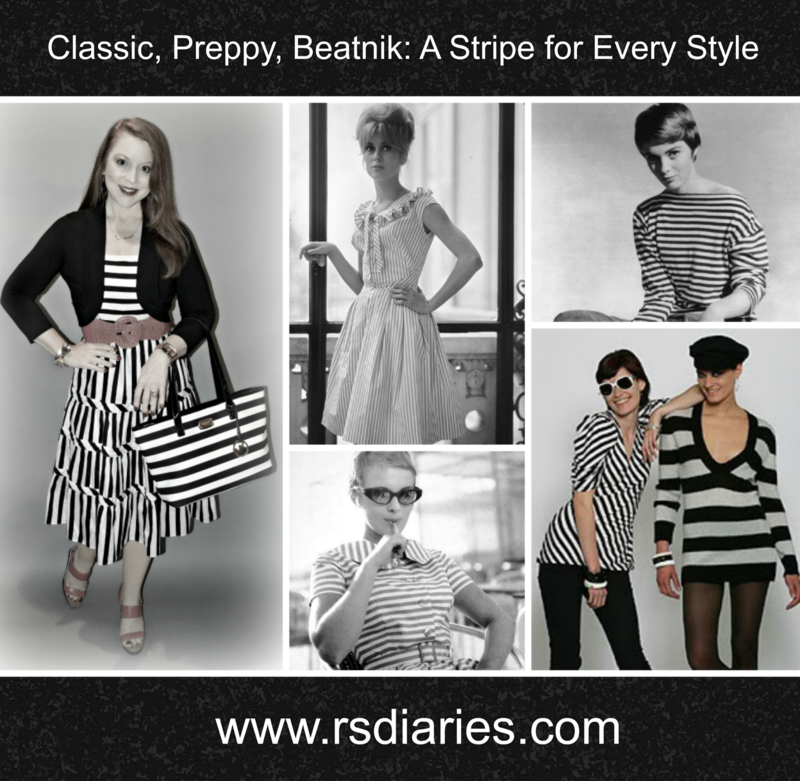 Classic, preppy, beatnik, mod, patriotic, collegiate, nautical, sporty, French ... if you asked me to style a single ensemble that captured each of these styles and more, chances are I'd start with stripes. 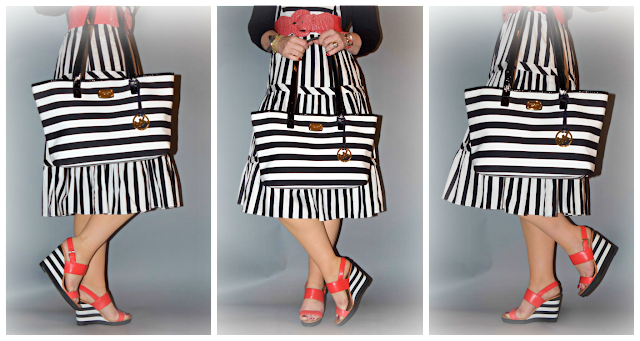 This particular ensemble might be a bit over the top with matching black and white stripes on the dress, shoes, and even the bag, but I just couldn't resist (and I love that all three pieces were acquired at different times from different places). I didn't buy them to "go together," but the result is one very graphic and "striping" look. 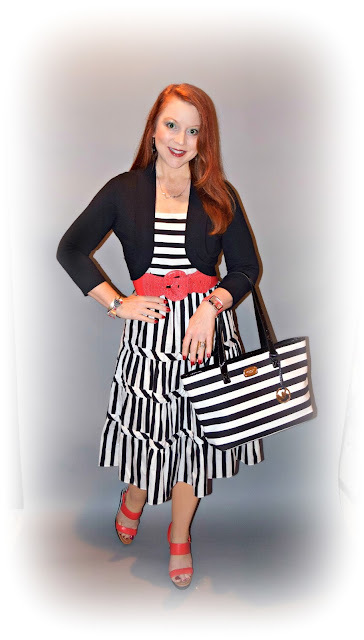 Besides, this isn't baseball, so the "Three Stripes and You're Out" rule doesn't apply! I know, I know, you're groaning at my wordplay...there's a fine line between clever and cheesy. 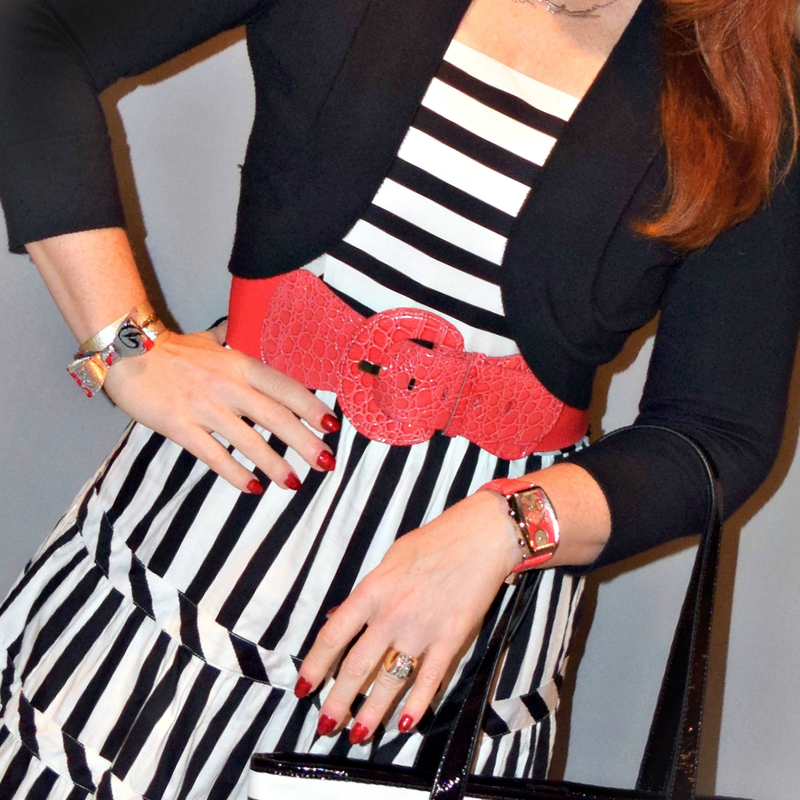 But, hey, I've earned my stripes, so I'll write (and wear) what makes me smile. 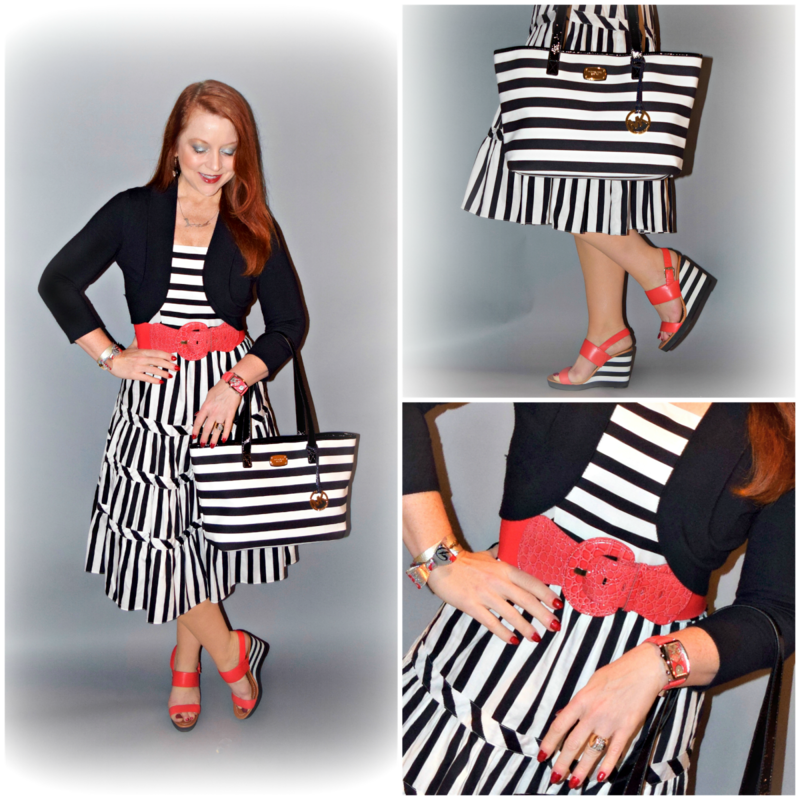 Belt (Amazon); Watch (J.Lo, Overstock.com); upcycled Diet Coke can bracelet (Millie's Jewelry) - find out more about this unique piece, and how to get your own, here! 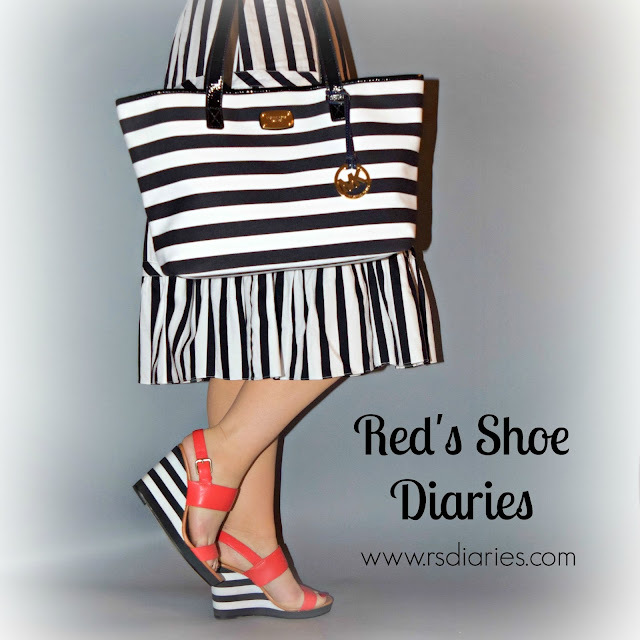 Two Hues; Two Shoes: Which to Choose?